PRAGUE, Czech Republic – Cycling is the most-practiced sport in the Czech Republic (and the second-most popular, next to football). So, why aren’t the streets of the Bohemian and Moravian cities overcrowded with people on bikes? The answer is rather simple: the bicycle is still understood in terms of social status. Personal commuting on the old city-bike “is not normal” as city cycling is seen as a dangerous activity. But to travel 150 kilometers to the mountains for a weekend biking with four full carbon bikes on the car-roof “is normal” within middle and higher classes. But times do change. Thanks to the “Bike Counter” project, the modal share of cycling for transport doubled from 2011 to 2012 – from 1% to 2% in Prague, while some flat cities managed up to 5%. Electric bicycles in this mostly hilly country also have the potential to change the cycle transport habits dramatically in few next years. The Czech Republic still belongs to the 10 largest bicycle producers in the EU. Most production is concentrated in Dutch-owned Bike Fun International (brands – Superior, Rock Machine), Austrian owned BPS Bicycle (known for its Swiss Army Bike delivery), German Panther owning MasterBike and in purely Czech companies 4Ever bikes, Duratec and Bohemia Bike (with its LeaderFox brand). Outside the mainstream, Festka offers high-end handmade fixies. The bicycle market does focus on the middle and high-end mountain and trekking bicycles, where all major brands, like Cannondale, Cube, Ghost, GT, Kelly’s, Scott and Trek are present along with the local counterparts – brands such as Amulet or Apache. 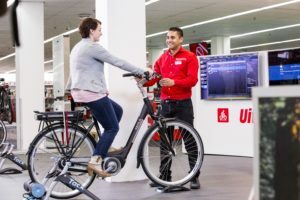 Some brands are building their own a network of flagship stores, led by the Specialized Concept Store, Giant Store, and Cyklo Point by Merida. Also the well-known Author brand has its large Bike Centre ´shop in the shop´ concept. Other noticeable Czech cycling industry brands are Rubena – tires and tubes, Equinox road wheels, and Remerx – wheel sets and rims producer. The top sellers in MTB are 29ers. Half of all buyers preferred them this season. Similar to this trend; full-suspension MTBs beats hard-tails in the high-end segment. Giant reported that high-end road sales were up significantly. 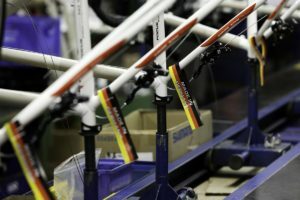 In the mid-price category of mountain and trekking bikes Internet distribution is popular, despite the campaign “Stop Eshop” initiated by Trek that tried consumers to return to IBDs. 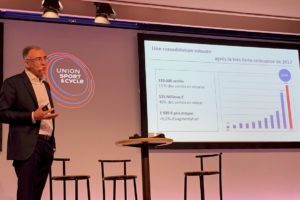 Online shopping is also used for e-bike distribution, where the lack of end-user knowledge is often dangerous. The hypermarket and sport-chain distribution with its private labels is significantly less popular. 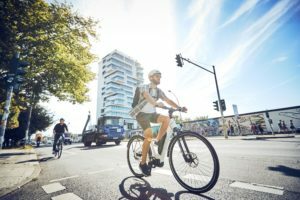 The Czech Republic is around 2 years ahead of other former ‘Eastern-bloc’ countries in the number of e-bikes sold per capita. The author of this article together, with the Bike Brno Fair introduced the indoor e-bike test-track for the first time in 2008. 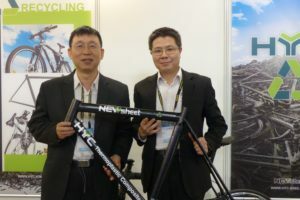 Currently there are over 15 local e-bike brands, some with export capabilities – like Prague based Agogs Electric Bicycles or Tianjin Golden Wheel EU subsidiary E-totem. In 2012 it is estimated around 13,000 e-bikes were sold, with the average price of € 900. For the current year a double digit rise is predicted.